The history of grave markers can go back to the time of the first people that called this area their home. Although no signs of Aboriginal burial grounds are evident locally, they still exist, invisible, and unknown for the most part. Residents still colloquially refer to "old Indian burial grounds". Often, the graves were covered with flat stones and sometimes circled with smaller stones or pebbles. In time the graves would blend into the surroundings until they had completely disappeared from sight. It is believed that the Acadian settlers and those that came soon after fashioned grave markers from wood or fieldstone. Most of these stones have likely been lost to the ravages of time. No remnants of Acadian graves in this area are know to exist. 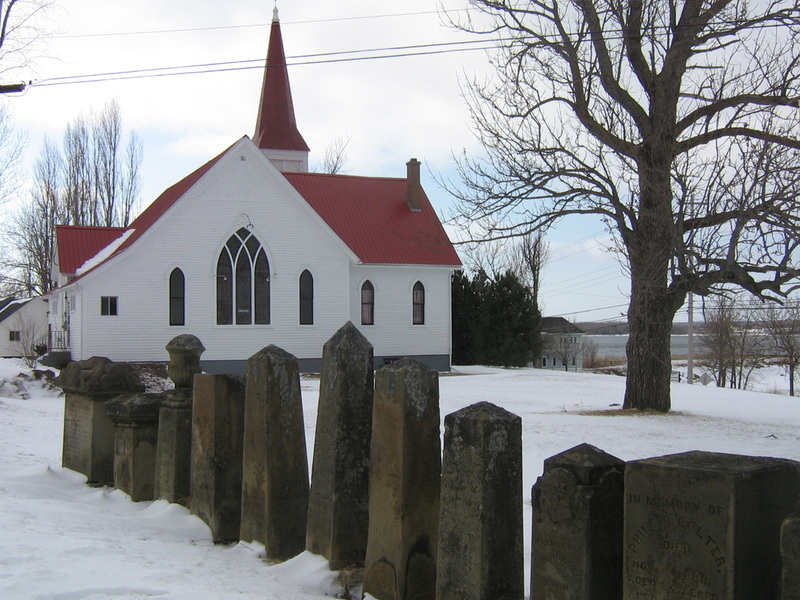 Cemeteries did not become common until the establishment of churches and congregations. The first United Empire Loyalists would often bury their dead on their farms or along the shores. The few pioneer cemeteries that still exist show the names of founding families. Here, examples of the oldest surviving headstones can be found. Many were made from foreign stone that Europeans brought with them from the old world or that was shipped from New England. Blank slate, marble, or sandstone grave markers would be used as ship ballast. Once here, they would be used as needed. The first local stones were fashioned from "white stone" (marble) and sandstone. The first local sandstone headstones began appearing in the mid-to-late 1800's. Many of these early stones are still legible and in good condition today, Wallace sandstone being among the most durable. In the years since, Wallace sandstone has been used in monuments across the U.S. and Canada. The stone is unchanged, but the methods have evolved, with air tools and diamond blades having taken over in the last few decades. A headstone that may have taken a man several weeks to make can now be fashioned in a few days. At the time, these made it easier to use granite commercially on a large scale. As a result, sandstone fell from fashion. Wallace sandstone inspired many headstone carvers and cutters. Many of the stones in the area can be traced to names like Richard Scott, Henry Charman, Art Dewar, Gordon Dewar, Roy Flynn, and Stan Flynn. Sandstone is now experiencing a renaissance, with many buildings being constructed or revitalized with this durable, natural and handsome material. My goal is to help reintroduce the unique beauty of sandstone. The stones that I make will be designed with care and truly one-of-a-kind. Each one is made to suit your specific needs. In doing so I strive to create works that will pay tribute to your loved ones and also to the quality brought forth by stonecutters past. World Class Sandstone for over 150 years. Exhibit at the Virtual Museum of Canada.